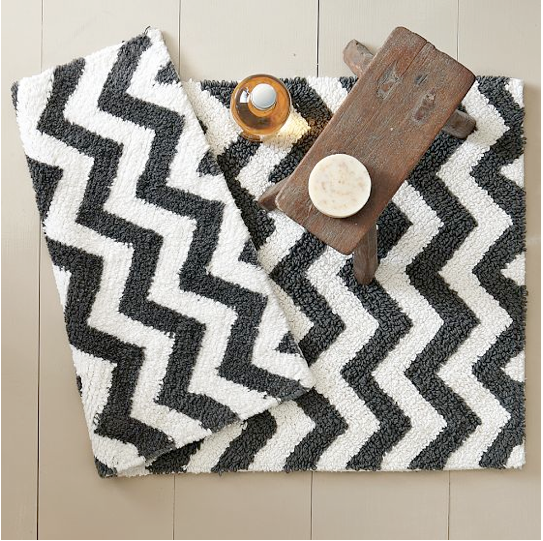 I could barely contain my excitement when I spotted my most favorite of decorative designs, the lovely chevron, emblazoned on this new bathmat from West Elm. Serious kudos for getting me giddy over a rug and this one is almost, almost to perfect to step on. So listen up, dear husband, the spending freeze will be lifted for this pretty mat or I. just. might. die. Erin—you are my hero—I've been looking for the perfect Duvet and West Elm has 3—THREE—I'm interested in! All thanks to you. 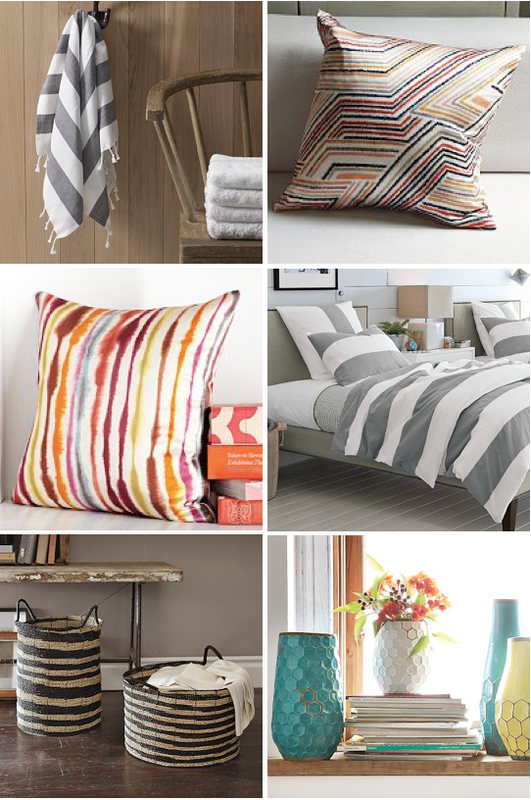 I always love a good stripe pattern. Thanks for posting these--am off to go browse. LOVE it. So worth it. I JUST BOUGHT THIS!!! Literally last night. I had been eyeing it for weeks and couldn't get it out of my head so I finally just did it. I think it will make getting out of my morning shower [when I wish I was still sleeping] so much happier. I am obsessed with Chevron too. I actually purchased this bath mat in the same order as the white lacquered bath tray that you posted about in your tray round-up! It was so well-priced and I couldn't resist, and think it will be perfect for pretty bottles of perfume and candles. Also, just a note in case you didn't know- the white lacquered tray has free shipping! It's one of those lucky West Elm items where you don't have to pay for shipping.